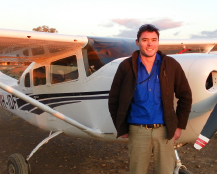 Flying in either a Cessna 172 , 206 or Cessna 210, each aircraft is equipped with personalised headsets ensuring ease of interactive conversation during your Lake Eyre & beyond Safari. All passengers get a window seat & all aircraft are high winged, a great advantage for photography. 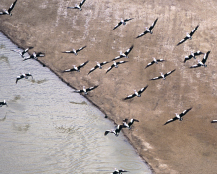 Incorporating the flight as per Lake Eyre 1 (plus) track east of the Lake following the Cooper Creek to the 'punt' on the Birdsville Track and the Etadunna Station wetlands. This flight can be extended to incorporate Lake Hope, before returning via the rugged Northern Flinders Ranges including Arkaroola and the Gammon Ranges. As per Lake Eyre 2 but continue north east along the Cooper Creek, passing over Mulka, Mungerannie Stations, Kanowna, Gidgealpa Station, Coongia Lakes (breeding ground for birdlife) & on to Innamincka for lunch before returning home over the Northern Flinders Ranges and Arkaroola. Depart Blinman and fly over The Leigh Creek Open Cut Coal Field, past Marree & land at Muloorina Station to stretch your legs and see the Artesian Bore. Depart Muloorina Station for Lake Eyre and the Warburton Creek, see the Tirari Desert on the right & the Simpson Desert to the North. Venture past Cowarie Station & the channels of Goyder's Lagoon, before reaching the Diamantina and Birdsville. Explore the town & visit the Working Museum. Overnight at the iconic Birdsville Hotel. 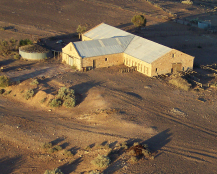 Depart Blinman and fly over The Leigh Creek Open Cut Coal Field, past Marree & land at Muloorina Station to stretch your legs and see the Artesian Bore. Depart Muloorina Station for Lake Eyre and the Warburton Creek, see the Tirari Desert on the right & the Simpson Desert to the North. Venture past Cowarie Station & the channels of Goyder's Lagoon, before reaching the Diamantina and Birdsville Hotel for lunch. 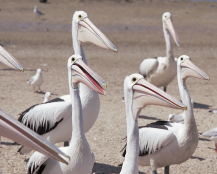 Depart for Sturt's Stony Desert to Coongie Lakes (flood out of the Cooper Creek) where you will encounter large nesting areas of birdlife. 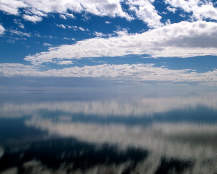 Land at Innamincka & put a toe into the waters of the Cooper Creek. 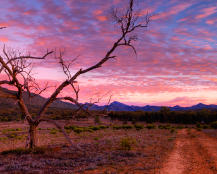 Leave Innamincka following the Strzelecki Creek south towards Mt Hopeless & the rugged Northern Flinders Ranges, Arkaroola before arriving at your departure destination (Blinman). 2 pax - $1990 pp inc meals & accommodation. 3+ pax - $1790 pp inc meals & accommodation. Please note: All flights are subject to weather & airstrip conditions. Terms & Conditions: Prices and per person and GST inclusive. All flights are in Cessna 172/206/210 aircraft. All tours and itineraries are subject to weather conditions, aircraft availability and pilot discretion. Passenger weight limitations may apply. Air Operators Certificate C550249 IM & DH Fargher trading as Blinman Scenic Flights.